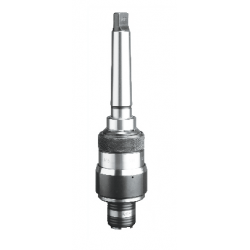 Item Name For Taps Suitable Collets Length Comp Float d1 dia D dia D1 dia L dia &n..
For Tapping Operation on Drilling, Tapping and Radial Drilling Machines. 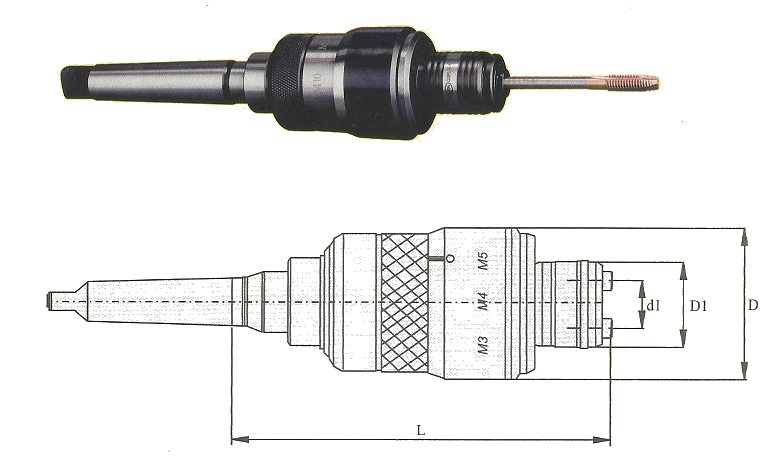 For Horizontal Applications On Lathes. Quick Change Tapping Attachment To Be Used With Quick Change Tap Adaptors KWE1 / KWE2. Adjustable Safety Clutch Prevents Tap Breakages. Length Compensation Acting On Compression And Expansion To Compensate Between The Tap Pitch And Machine Or Hand Feed. Self-Centering Radial Parallel Float To Compensate Misalignment Between The Tap And Hole To Be Tapped. Where can I buy QSFL/MORSE TAPPER Online?